HNEC has reported that one million Libya women have now registered for the planned 2018 elections (HNEC). Libya’s High National Elections Commission (HNEC) announced yesterday that one million women have now registered on the election register. 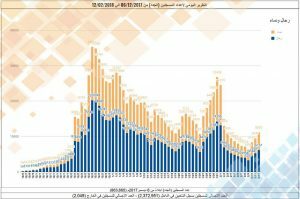 There had been a total of 863,660 new registrations up to yesterday and since registration opened on 6 December 2017. 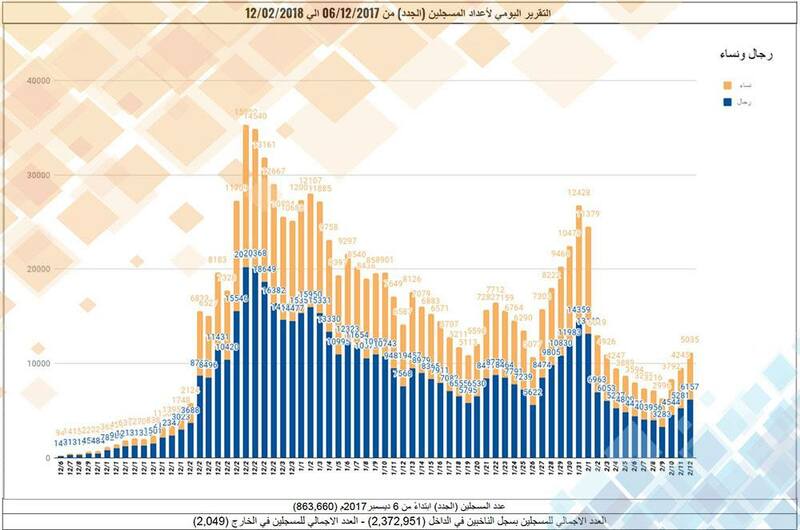 When added to those registered in the previous General National Congress, Constitutional Drafting Authority and House of Representatives elections, the grand total is: 2,372,951. 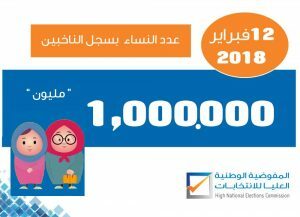 Voter registration up to 12 February 2018 (HNEC). It will be recalled that there are plans for elections to be held in Libya this year, but no election date has been announced yet. UNSMIL head Ghasan Salame has stated that an election law would need to be passed by the legislature, the House of Representatives – in consultation with the High State Council, as prescribed by the Skhirat Libyan Political Agreement. The election law would decide the exact formula that would be used this time round. In the 2012 General National Congress (GNC) elections, 80 seats were contested by party candidates while the balance of 120 of the total of 200 – were contested by independent candidates. In the 2014 House of Representatives elections all 200 seats were contested as independents. There was a general perception that political parties were divisive during the reign of the GNC and had led to polarized politics. Critics in Libya, on the other hand, feel that using independent candidates can either confuse or allow candidates to hide their true political allegiances from voters. They believe that party candidates can be held more accountable.